Investing in real estate is popular, but will usually come with considerably more legal responsibility than investing in securities. Before you go ahead and invest in real estate, it is important to find out what it means in your jurisdiction and what type of insurance coverage that would be suitable. Real estate is is property consisting of land and the buildings on it, along with certain naturally occurring and/or cultivated resources belonging to the property. The exact legal definition vary from one jurisdiction to another, so it is important to check applicable law in the jurisdiction where you plan to invest in real estate. There are for instance jurisdictions where the owners of real estate have rather weak rights when it comes to minerals encountered on the property, and can be legally mandated to agree to someone else mining them in exchange for a license fee. Of course, there are situations where these categories overlap. Farm real estate can include residential buildings, an apartment building can have shops at the bottom floor, farms and mines are commercial ventures and can therefore – depending on jurisdiction – be included in the commercial real estate category, and so on. A buy-and-hold real estate investor is in it for the long haul. In many cases, she seeks to make a profit both from rent and from long-term value increase. Buy-and-hold investors can either buy properties that are ready to bring in money from day one, or buy properties that needs additional investments first, e.g. renovation or the construction of buildings on the land. There are also those who buy real estate without any plans to make any money from their investment until they sell the real estate several years down the road. Last but not least, owing real estate can be a way of obtaining secured loans (mortgage loans) where the money is to be used for other ventures, e.g. investing in securities. The opposite of the buy-and-hold investor is the person who purchases real estate with the intention of selling it again quickly, often within three months or so. This is sometimes referred to as real estate flipping. Some traders will look for properties that they can renovate in order to increase the market value. 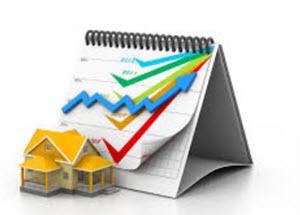 Others do not put much money or effort into the real estate after buying it; they will instead look for properties that they believe will increase in market price on their own, e.g. because the market in the neighborhood is very hot. There are also flippers that will actively look for properties where the seller is so eager to sell quickly that the flipper can purchase the property with a discount and then just sit back and wait for someone to eventually come along that is willing to pay the “normal” market price for real estate in that neighborhood. Flippers are often not interested in being landlords, and can therefore suffer financially if the property sits with them longer than planned. They will either have to cover costs (tax, insurance, mortgage loan payments, etc) out of pocket or bite the bullet and become reluctant landlords to make ends meet. A classic real estate investment is when you invest in real estate directly and manage it on your own, with or without the aid of professionals that you yourself have hired, e.g. a super, a cleaner, and so on. This form of real estate investment is still the dominant one both in the United States and globally. During recent years, new forms of investing in real estate more indirectly have emerged. In many cases, they have been developed to suit those who want to invest in real estate without being a landlord in the classical sense. A company purchases or builds a set of condos. Investors are welcome to purchase condos. The lease is in the investor’s name, but the company will operate the investment group collectively. The company will manage all the units, and take care of things such as maintenance, signing up tenants, collecting rent, advertising vacant units, pay for landlord insurance cover, and so on. In exchange, the company will take a percentage of the monthly rent. All of the condos pool a portion of the rent to guard against occasional vacancies. The owner of a condo can thereby know that he will be able to pay his mortgage (if any) even if the unit is without tenant for a limited period of time, and the company will know that they will receive their monthly fee as well. This is just an example of how a real estate investment group can be set up. You should always read the find print of the real estate investment group that you are interested in investing in, and also check applicable law to find out how far your responsibilities and liabilities will go. Never just rely on the word of the company that wants you to invest, because in the end, real estate responsibilities are determined by law and not by sweeping oral promises made by a sales agent. A real estate investment trust (REIT) is a publicly-traded instrument. It is created by a corporation or trust that uses investor money to purchase and operate income properties. REIT units are traded on several major exchanges and are popular among investors seeking regular income. In the United States, REITs receive favorable tax treatments when it comes to corporate income tax. The corporation or trust must pay out 90% of its taxable profits in the form of dividends to retain its legal status as an REIT. If it doesn’t, it will be forced to pay tax on its profits just like any other corporation. In many cases, the market for REIT units is much faster and more liquid than the market for real estate, meaning that you can cash out quicker if you don’t want to hold on to your investment anymore. If you owe real estate outright, you will probably have to contact a real estate agent, viewings will need to be arranged for potential buyers, and so on. Another advantage with REITs is that they can make it possible for you to invest in high priced real estate that you may not be able to afford on your own, such as mall real estate, luxury hotel real estate and convention real estate.